Just a quick few items as we get ready to start another school year and another high school sports season....but first...I need to do my part for this levy vote next week. We're inside of 1 week until the community is asked to approve a renewal levy to assist our schools. This is a no-brainer for me. I'll be voting for the renewal and would ask you to do the same. If this levy is defeated, money already being collected by the schools would disappear and make a difficult financial situation even worse. I'm hearing that if this levy passes, it will not solve the entire financial crisis, but much less "new" levy money will need to be approved by voters in the future if we can pass this renewal levy. 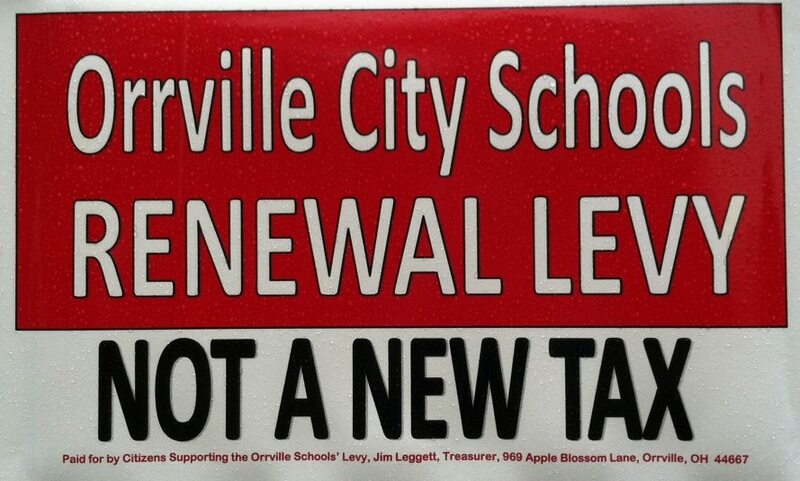 It makes sense for Orrville and I hope to see it pass easily. 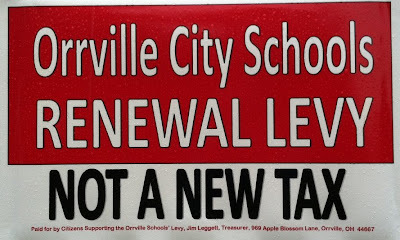 For the "average" home in Orrville, this levy represents about $20 per month, for some it's more than that, some less....again...this is money that is already being collected by the schools. They are not asking for new money. I'd really hate to think that the town would vote this levy down just to save $20 a month in their budget. I'd think there would be much better ways to find $20 in your budget than at the expense of the schools. 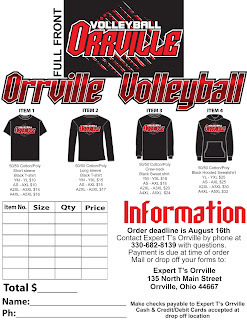 SUPPORT ORRVILLE SCHOOLS ON AUGUST 6TH! "Meet the Team Night + Tour of new High School"
5:30-7:00 - Open concession stand at the football stadium. If you recall, the "Meet the Team" function has been held in the downtown area for the past few years. I think this change will be a better venue for this event. The school will be much more accessible from a parking standpoint, and the stadium will be a nice venue for coaches to introduce their captains, say a quick word about the upcoming season and give fans and younger kids the opportunity to come out on the turf and meet the teams. Add in a chance to tour the new high school and it should be a good night. While you're in the gym, make sure to check out the new banners that were paid for by the Booster Club. 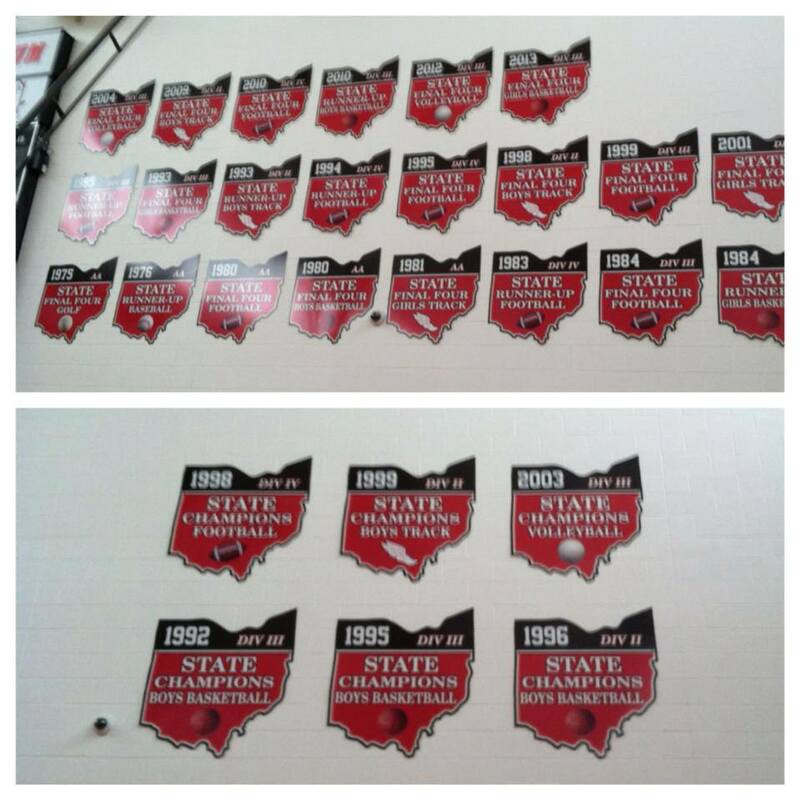 They commemorate our 6 team state titles and our 22 team final 4's in all sports. What a great look and a wonderful celebration of our athletic tradition. 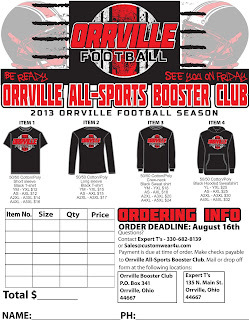 As always at this time of year, the Orrville ALL SPORTS Booster Club is conducting their membership drive and for folks wishing to join at the Elite level ($50), this year's spirit item is a really neat one. A Red Rider Tervis tumbler mug shown below. The Booster Club is always seeking volunteers to help sell programs, 50/50 tickets or work in the concession stand. In my opinion, every parent of an athlete should be required to work at least 1 event that their son/daughter is not involved in. 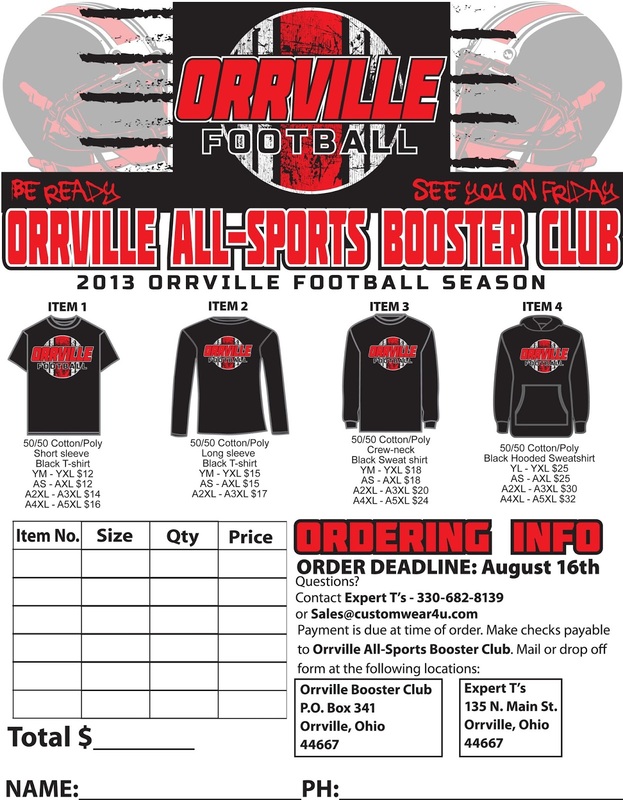 The Booster Club spends thousands of dollars a year for the benefit of all Orrville sports. 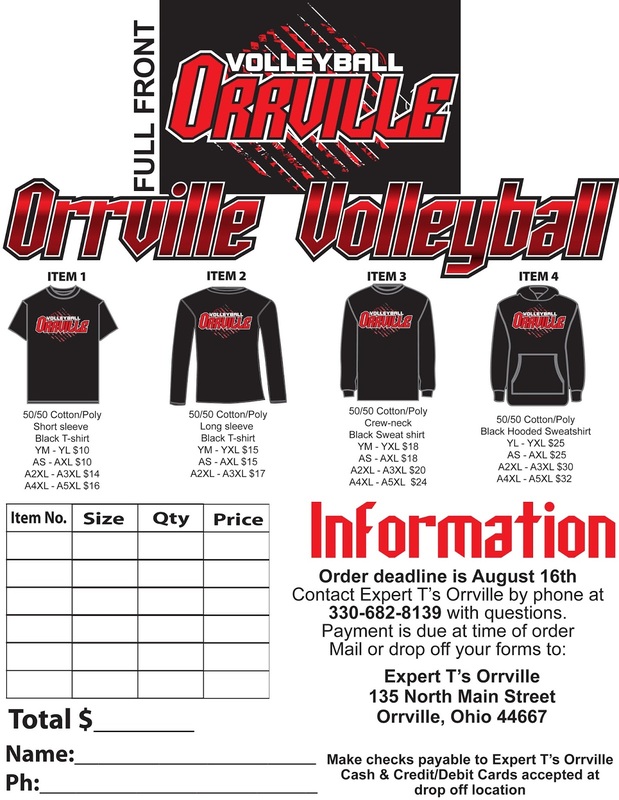 Expert T's is once again selling Orrville football and Orrville volleyball shirts for the upcoming season. Order forms for both are shown below. Feel free to print out a form and turn it in at their store. I really like this year's designs. That's all for now....we're inside of 1 month until the start of the fall sports season and the first home football game on August 30th.